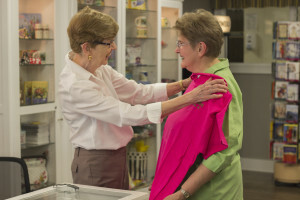 This program is designed to increase the quality of life for our residents. The program integrates resident specific classes, education, and services to help each individual make informed choices for maintaining health in mind, body, and spirit. The Wellness Program is open to all willing to participate. Classes and programs offered: residents free of charge. Please contact dhaun@oddfellows.com or 526-6816 for more information. Click here for information on our favorite sport! our four dining rooms. Guest meal tickets for family members may also be purchased at the front office before meals. Apartment residents may purchase individual guest tickets or a monthly meal plan. Additionally, we are able to accommodate many prescribed diets. We are pleased to offer a bistro option for a change of pace in dining. Open Monday through Saturday from 8:00 to 1:30, the bistro has a breakfast and a lunch buffet, as well as a complete offering of espresso drinks, Italian sodas, and smoothies. Look for the special of the day! The Courtyard Gift Shop is open for gifts and sundries. During times when it is closed to retail business, the café area is still available for gatherings or a cup of coffee from our Keurig machine. The Courtyard is the place to go for homemade cookies from our kitchen or even candy from Bright’s candy shop! We are happy to assist you in making medical appointments. 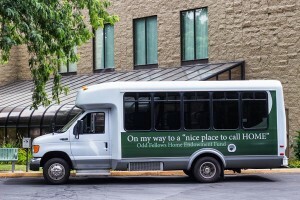 We are able to provide transportation to scheduled medical appointments within the Walla Walla community. Additionally, we offer scheduled shopping trips at least once a week. These services are offered free of charge. It is simply impossible to attend every event offered at the Odd Fellows Home. 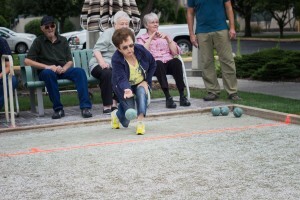 All activities are open to any resident and we encourage participation. See for yourself the variety of activities offered by looking at the current calendar. 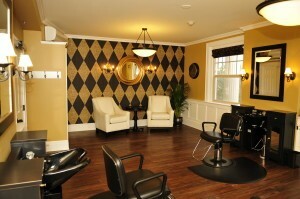 We have a full service salon for both men and women. Please call 529-7032 to make an appointment for hair services & nail services. Massage therapy is also available and can be arranged through our reception desk at 525-6463.